Whether you think of yourself as being addicted to alcohol or not, doesn’t matter. What matters is the relationship you have to alcohol. 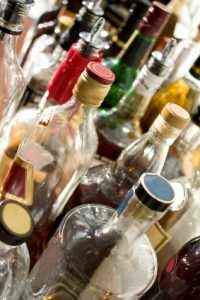 Some of my clients have been through detox or even rehab for alcohol abuse, and some are simply concerned about a habit that’s getting out of control. Wherever you find yourself, I can probably help. Reducing cravings to drink alcohol and making them manageable if they do arise. Skilful management of triggers and neutralising them. Building confidence and self-esteem after alchol addiction has ended. Resolving any underlying issue that fuel addiction to alcohol. Developing an awareness of how your addictive patterns function. Simple but effective self-help tools to help you keep in control. Creating short and long term goals and action plans for a more meaningful life once addiction has ended. Imagine how much better you will feel once you are in control of your drinking habits. How much better would your life be without problem drinking? What might you do with your life that would be so much more rewarding and fulfilling than those hours lost in drunkeness? Please feel free to contact me if you have any questions. I am happy to schedule a time for an initial consultation in which we can have an in-depth discussion regarding what you want to achieve. This consultation is free of charge and obligation free. Private Sessions In Zurich, Switzerland. Online Sessions For Clients Worldwide.